Sometimes, you get to know your Twitter friends in real life. Sometimes, they turn out to be dapper, whip-smart nerds who care about a lot of the same things you do. And then, every once in a while, they meet a gorgeous, fashionable, hilarious, amazing, foodie, dynamo-of-a-woman. And they're getting married. And you get to photograph it. 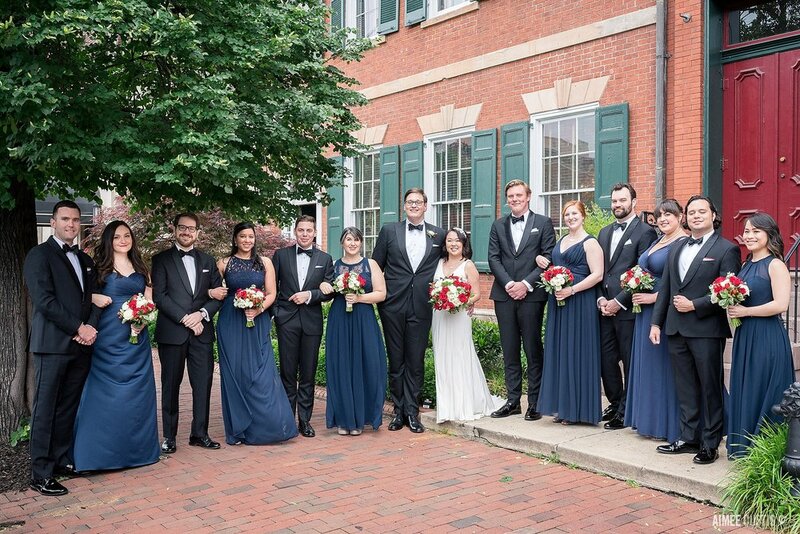 Graham and Jasmine are the definition of a DC power couple, and I was THRILLED to photograph their wedding day in May at the Arts Club of Washington. They incorporated some lovely traditional Chinese wedding customs, like a gorgeous red lace cheongsam for Jasmine, door games in lieu of a traditional first look, and a tea ceremony. Plus, in a nod to their shared foodie love, instead of a traditional cake, they had the MOST EPIC wheels of cheese from Union Market's Righteous Cheese, set up as a wedding cake! I DARE you not to love this oh-so-DC-nerd-perfect wedding day!